This post by Linda Aaron, Coldwell Banker Bain | Seal operations coordinator and training director, was originally published on Coldwell Banker Bain | Seal Careers. What’s the first thing you do when you are looking for a new restaurant, a hotel or a recommendation for a business? You may ask a friend or family member for a recommendation, but most likely you go to “Google” to search, or visit a website such as Yelp, Google Places or CitySearch to look for recommendations. We know the No. 1 source of referrals in real estate comes from people we know, but chances are we still look online for reviews to confirm those recommendations. We are living in the age of online reviews and there is no disputing the fact that they can make or break a business. With so many people online and publishing content, there is ample opportunity to share on any number of websites a bad customer service experience. Just type into any search engine “customer service nightmare” and read how fast things can go downhill. Many mid- to large-size companies have social media teams who monitor the social platforms and search engines so they can be alerted to customer service complaints and unfavorable reviews and comments. They know it’s important to respond quickly so it doesn’t escalate to a social media disaster. So how will you as a broker running your own small business know if you have a review? Setting up your listening channels is a good way to start. Here are a couple of quick, easy, free options to get you started. Google, Yahoo and Bing alerts — Create alerts for your name and any common misspellings of your name. Be sure to set up searches for your brand name and website name, too. Some parents even have alerts set up for their children’s names. Twitter — Set up a saved search for your name, your brand and neighborhoods where you work. Search.Twitter.com advanced search gives you even more options for search. Twitter and Facebook are favorite places to share complaints, disappointment and frustration over customer service issues. Social dashboard search — If you use a social media dashboard such as TweetDeck or HootSuite, saved searches will make it easy to see them at a glance. As a CB Bain and CB Seal broker, you have the opportunity to add client testimonials to your profile page, along with your Listen 360 reviews. Complete your profiles on the real estate portals and review sites — you will definitely want to claim those profiles. We recommend having your profile on the following sites, which all offer reviews/recommendations features. Be sure to set your notifications to let you know when you receive a review. There are many more sites you could use, but we think these are some of the most important. If there is a site more specific to your niche business, then by all means use that one, too. People have been afraid of reviews for fear someone might say something negative; that may happen and you can’t please everyone, but the way in which you respond will make a difference. 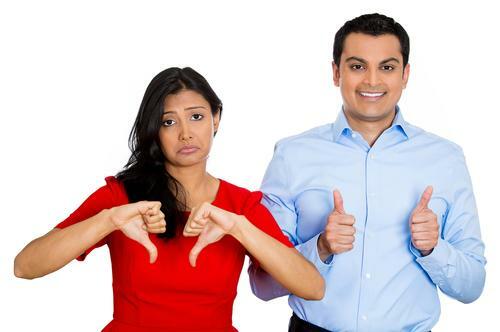 What can you do if you receive a poor review? Think before you respond. Sometimes a response may not be necessary, but generally you will want to respond as soon as possible, as online critics are impatient and expect a response ASAP! When you respond, don’t be defensive. It’s hard not to personalize it, but try your best not to. The person is simply sharing his side of an issue and how he felt. The reviewer may have been angry or frustrated when he wrote the review, but you can’t afford to be when you respond. Start by thanking the person for his feedback and let him know you appreciate the opportunity to improve your service and learn from an experience. If you have made a mistake, or there was a misunderstanding, apologize publicly where the review was left. Invite the person to contact you offline for further discussion or resolution. Taking it offline is always the best course of action, but it is important for you to respond publicly — you don’t want a negative review without a response, as it will look as if you didn’t care. Never make excuses — simply stick to the facts. An acknowledgement or an apology can often lead to a retraction of the negative review or a positive follow-up comment from the reviewer. Often, people just want to be heard. Don’t remove a review unless it is profane, threatening or harassing. Remember, a response to a review is an opportunity to put things right, but it is also an opportunity to share what was good about the experience. Ignore the trolls. There are people who troll the Internet looking for a fight. Don’t waste your time — you will never win with a hater. Most of us strive to do our very best, but we are human and make mistakes. It’s not the end of the world; in fact, if all of your reviews were five stars, people may suspect the reviews are fake. What should you do if you do find a fake review? Contact the website provider and request to have the fake review removed. Remember, the best defense is a good offense. Create your profiles on key websites (social, real estate, online review sites) and use them. Ask your clients for reviews at the close of a transaction. Send a handwritten note to your clients thanking them for the business and include a link to one or more review sites where you have online reviews. Not everyone uses the same website, so give them a choice and have some reviews on multiple sites. Create a page on your personal website for testimonials. Some of the real estate portals offer a widget for your site to pull the reviews from the originating site to provide additional proof of your service and reputation. If you do receive a negative review, having a number of great reviews will give less credence to the negative review. Keep creating those excellent customer service experiences!